Alessandro Sorbello: Sorbello, A., & Karsaklian, E. (2016). Country of Origin Effect on Emotional Engagement: An Analysis of Italian Week in Australia Based on ELM. European Journal of Business Research, 16(1), 63-72. Sorbello, A., & Karsaklian, E. (2016). Country of Origin Effect on Emotional Engagement: An Analysis of Italian Week in Australia Based on ELM. 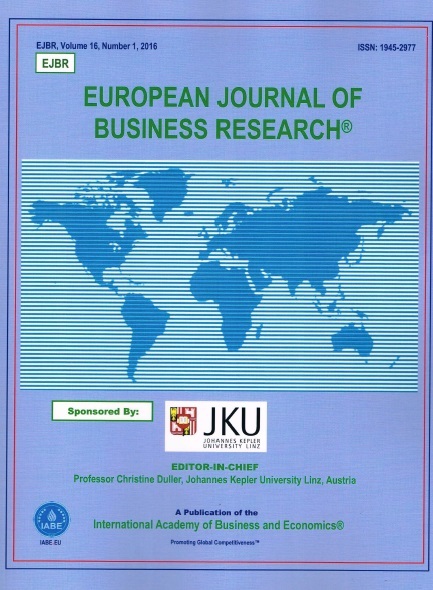 European Journal of Business Research, 16(1), 63-72.